Discover the value of a fresh start. Managing money isn’t easy. And despite the best efforts of many, it can sometimes become impossible. When money is tight, one burst water pipe or unplanned trip to the emergency room can devastate a family budget. Bosserman Law is a debt relief agency. We help people properly and responsibly file for bankruptcy relief under the Bankruptcy Code. Call Kelly Michael Bosserman now and ask him how his guidance through Chapter 7 or 13 bankruptcy can help you relieve the stress of your financial burdens and create a workable solution to pay your creditors. Remember, there is no shame in bankruptcy. In fact, with the help of Bosserman Law, you can take pride in successfully stopping the foreclosure of your home and property, ending pay garnishments and getting help with child support. There are several factors that determine this. One of the most important factors is household income. A person may not qualify for a Chapter 7 if the amount of income coming into the household is too high. What a person is trying to accomplish by filing is another factor. For example, if a person is trying to protect a home from being foreclosed, a Chapter 13 would usually be their only bankruptcy option. There are other factors used to determine what type of bankruptcy is the most beneficial. At Bosserman Law, we can review your situation and advise you as to which bankruptcy is best suited for your needs. Call our office today at 662.890.9558 to discover the value of your fresh start. 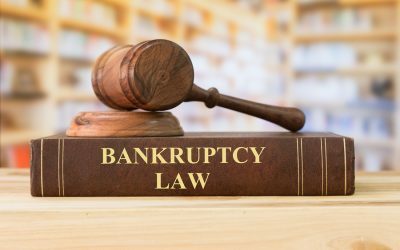 Learn More About Bankruptcy On Our Blog!